Dean Electric Company is a full-service, licensed and insured electrical contracting company specializing in commercial, institutional and light-industrial construction. Dean Electric Company was founded in 1999 by David Dean, a seasoned electrical contractor with over 30 years in project management experience. Dean Electric has grown steadily since its establishment, evolving into a comprehensive contracting firm. We offer a wide-range of services from maintenance to renovations, to design/build or conventional bid/build electrical installations, allowing the company to satisfy the electrical contracting needs of most projects. Dean Electric Company keeps pace through certified training, obtaining detailed working knowledge of ever changing technology to include telecommunication, fiber optic and lighting controls. Applying our knowledge to offer complete project awareness with qualified well organized crews of certified electricians from start up to completion, each project is carefully planned, managed and scheduled accordingly in ensure optimal results. 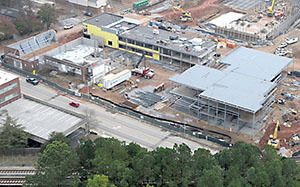 Dean Electric's Team must provide a greater degree of time and cost control through effective communication, coordination, administration and management, while motivating the team to meet deadlines, without sacrificing good design or quality, which is the centerpiece to Dean Electric's ideology. 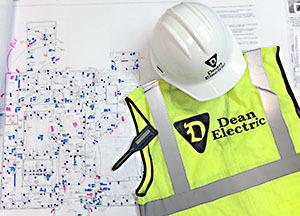 Dean Electric Company's success is measured in the ability of its job site superintendents to manage projects efficiently and effectively while maintaining the highest level of client satisfaction. It’s our ongoing commitment to quality and safety that sets us apart from other electrical providers. Dean Electric's superintendents are intelligent, capable, licensed electricians with the experience and knowledge necessary to make a job run smoothly. Many of the superintendents have worked with David Dean for over fifteen years, following him as his career progressed from project manager to business owner. We also have a support staff and project managers that manage and can recommend best practices for lighting, data networks, lighting controls, UPS and generator systems.